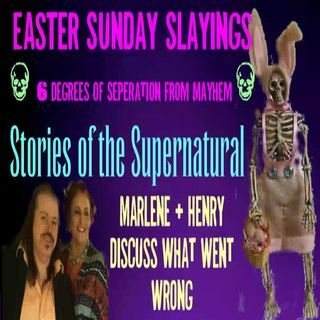 Marlene discusses with Henry, a retired law enforcement officer, the facts around some very disturbing cases starting with the massacre of a family of eleven on Easter 1975, and what went wrong, and also the supernatural angle to some of these terrible events, including how closely many of these cases are using the theory of 6 degrees of separation. PLEASE SUBSCRIBE AND LIKE OUR VIDEOS! THANKS!